Happy Friday! Here are my favorite things from the past seven days. Mad Men– the scene with Roger and Peggy was priceless! Scandal – I started watching this week – I think it has potential, will stay tuned. and big CONGRATS to Dana at circa dee who got a diamond in the rough on her spring break this week! Month of Menus – includes shopping lists! FAMILY CIRCLE – 50 Easy Decorating Ideas for under $50 – fun, inexpensive ways to add to your home decor (the link won’t show you the whole article – you need to get the magazine, which I was lucky enough to get to read while enjoying a pedicure this week!) also Simple Steps to Organize Storage Spaces was a good read! PARENT & CHILD by Scholastic – The Big Guide to Scaling Down Your Stuff – this article encourages you to particpate in their 30 Day Enough is Enough Challenge beginning on April 15. They will tweet each day’s simple step on Twitter. Join the conversation by following @PARENTandCHILD using the hashtag #enoughchallenge. 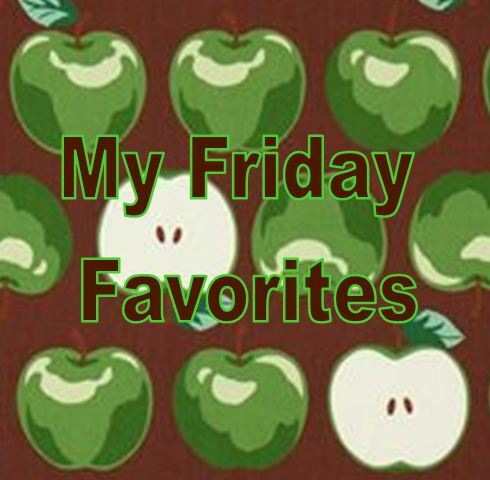 What were your favorite things this week? Leave a comment. I always love to hear what my readers are watching, reading, making & buying. Thanks for reading this week! Have a terrific weekend! I love the mudroom in the Simple Steps to Organize Storage Spaces! I think I need to start watching Mad Men. I’ve heard a lot about it. I LOVE Mad Men!!! I can’t get enough of it! And Peggy is great. I love how she has broken into the “man’s” world of advertising and as her character progresses I like her more and more. I was also extremely proud of Joan this week. She made a very hard decision sending her husband out like that and it is a decision I am sure many women of that time wanted to make but were too afraid to make. Peggy is amazing. She is one of my all time favorite characters ever written. I was so proud of Joan, too. What is going on with Once Upon a Time?? It’s another re-run tonight. I thought last week was because it was Easter. The last one wasn’t the season finale was it???? Once will be back on April 22nd. I don’t know why it took this mini break.